In your job, the hard work in recent weeks will pays off today. If somebody wants to help you today, do not reject this help! Your partnership is almost perfect. You love your partner and your partner loves you. It is a healthy giving and taking in a balanced proportion. If you not stop to pamper your partner, this partnership can be until death. 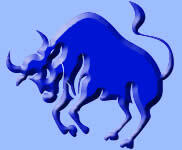 If you are still looking for a partner, then this evening is the right night to go out. If you not close your eyes and your mind, you will get in contact with a nice person. 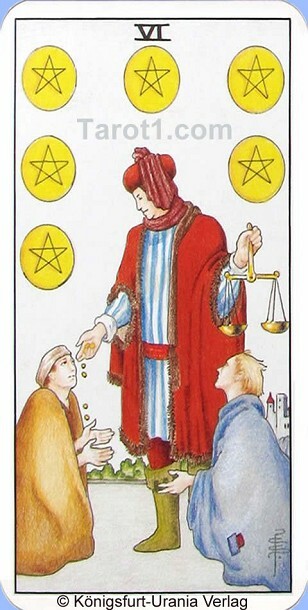 On this Tarot card, six of Pentacles, a businessman is holding in his left hand a scale and with his right hand he is giving two beggars a few coins of money. This tarot card symbolizes the balance of giving and receiving.